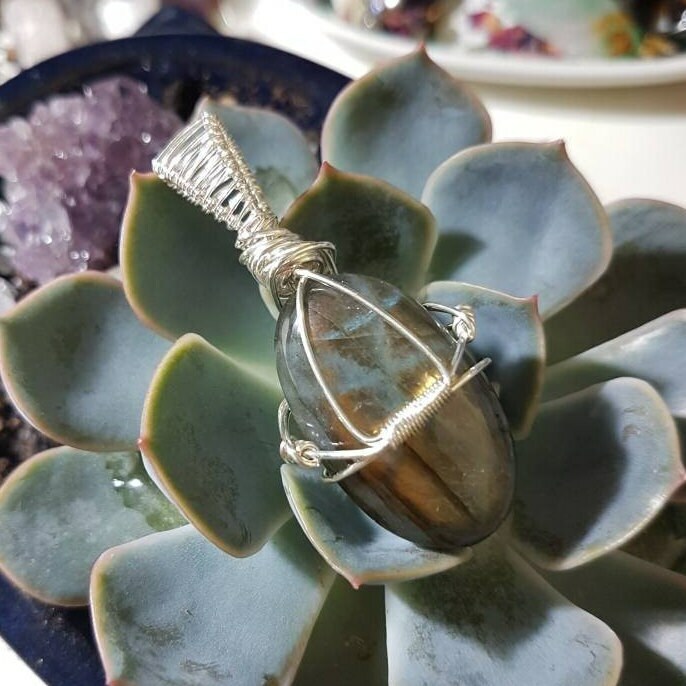 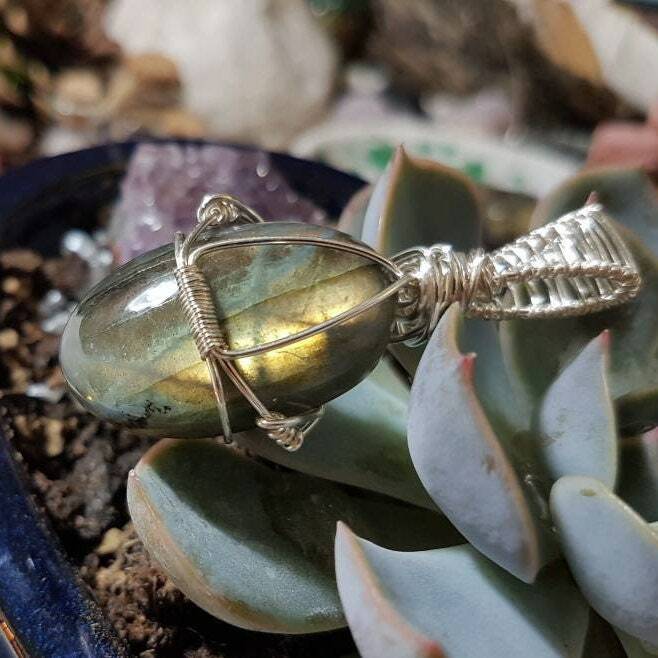 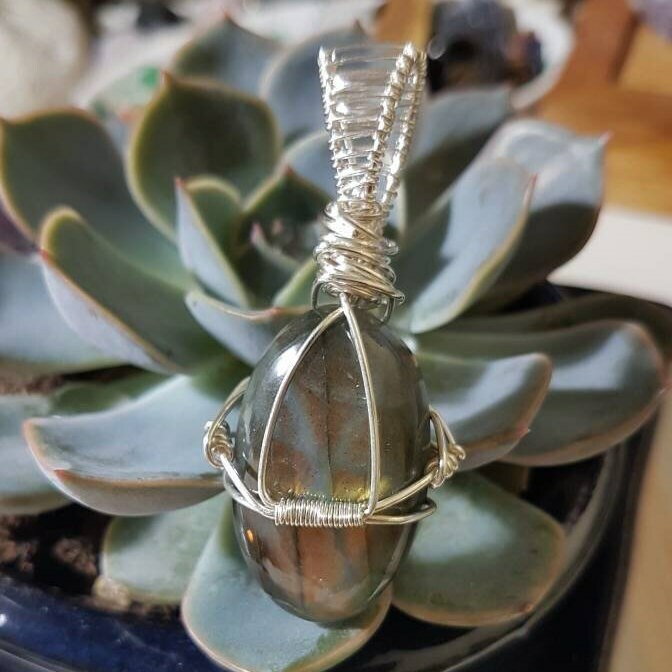 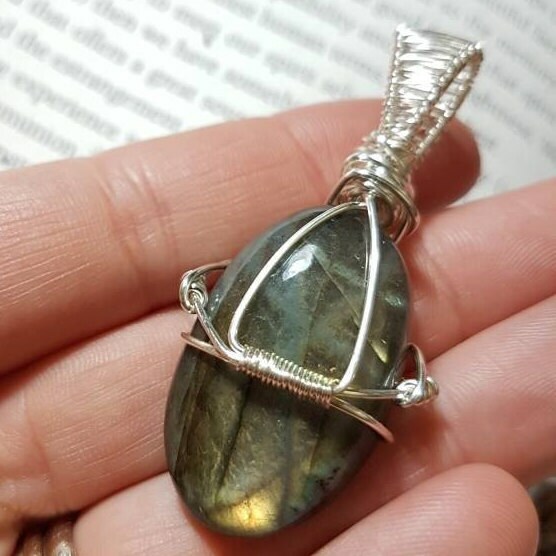 Silver plated wire wrapped Labradorite pendant . 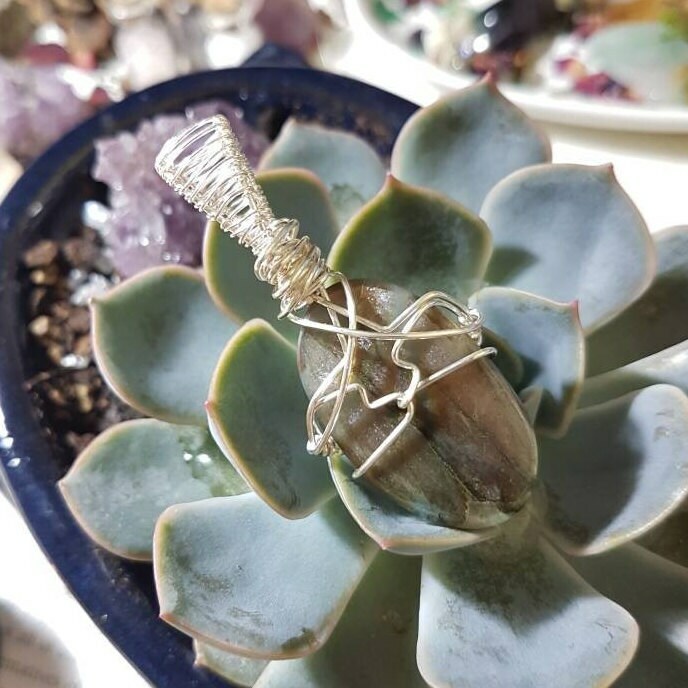 Wire is plated silver. 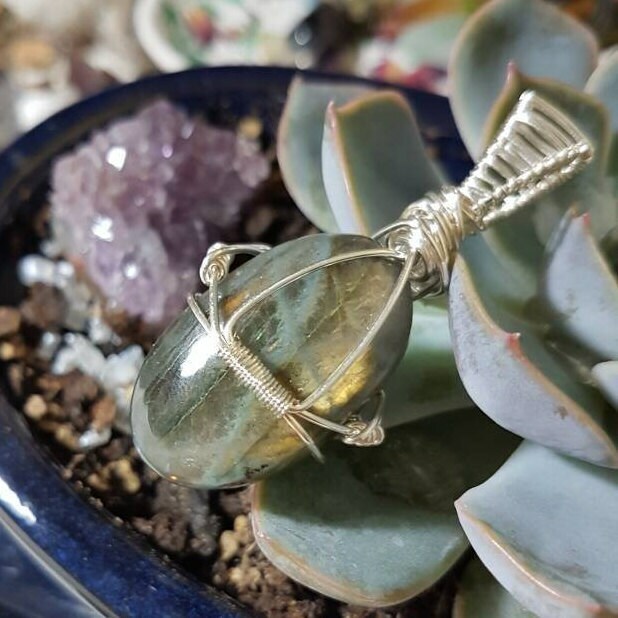 Pendant measures approx 5.7cm x 2.6cm and crystal is approx 3.2cm x 2cm.